Some circumstances may necessitate a manual, one-time batch upload of your rostering information. 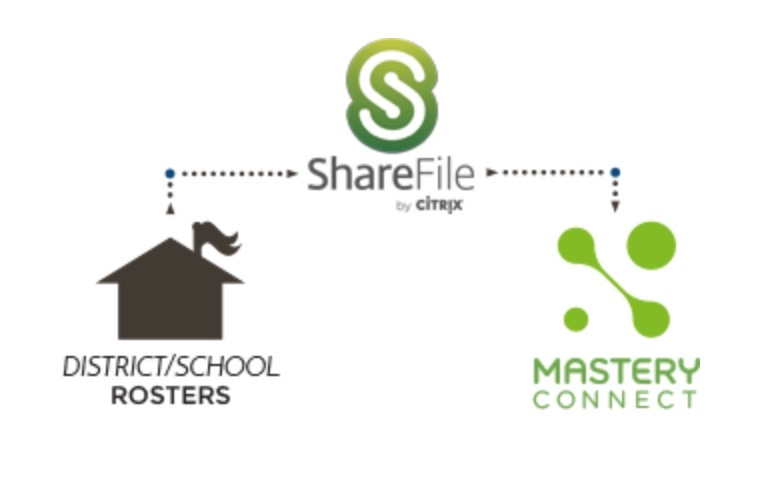 This process involves emailing individual “.csv” files containing student and teacher basic information directly to MasteryConnect (templates will be provided). Please note: for FERPA compliance, the student file cannot be emailed to us and must be transferred via this FERPA-secure Sharefile link. We are unable to accept any emailed student data. Here is a step by step guide on how to Use ShareFile. After your files are received and processed, teachers and administrators will be required (from this point forward) to manually add or remove students from their trackers and the system. For CSV Roster templates please contact activate@masteryconnect.com and the templates will be emailed to you. Export the required fields roster data from your SIS into the provided templates. The completed teacher CSV file can be emailed directly to MasteryConnect's Activation team at activate@masteryconnect.com. However, the completed STUDENT CSV file must be securely transferred via this FERPA-secure Sharefile link. We must delete all student data sent via email.